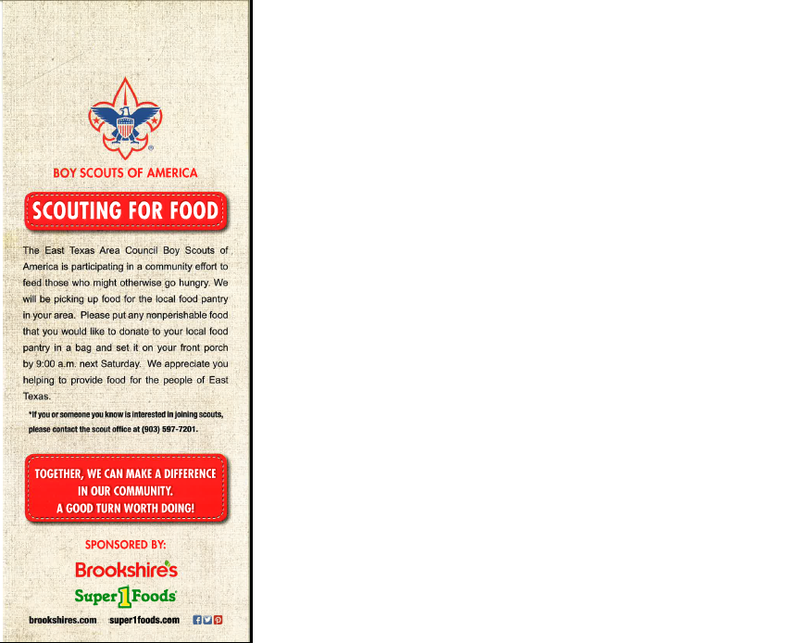 Scouting for Food is our Annual Food Drive that benefits your local food bank. Door hangers are available at the ETAC Service Center to be put out Saturday November 12th and picked up Saturday November 19th. Have any questions, contact Bruce Pessink or the Service Center.